My boyfriend and I can sit here for hours… surfing, scrolling, tapping, searching… and suddenly it’s midnight. I feel completely disorientated, drained, and utterly empty “upstairs”. Why does my brain literally feel rubbery? Thoughts slide slowly around but not coherently… it’s like someone’s vacuumed my head empty. It’s black, it’s a void. It’s dead space. This is the feeling of the “internet hole”. What I would give for a nifty little self-reading EEG at these times. I just desperately want to prove what the I know electric impulses are doing: Nothing. If you read the reports out of China this month, teenagers who surf the net for 13 hours a day have significantly reduced grey matter. “Our study reflects the long-term Internet addiction can lead to deterioration in brain structure,” said the researchers. 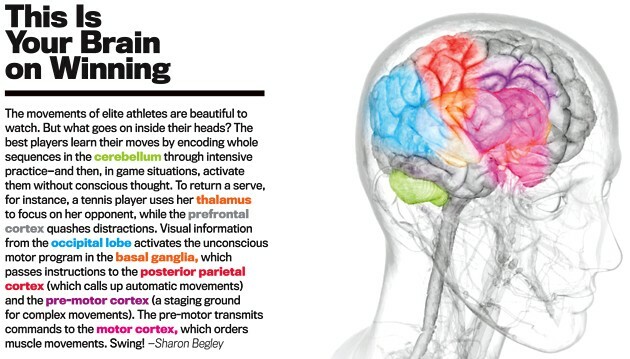 The brain cortex functions to process memory, emotion, speech, sight and hearing as well as control the movement of people. “We remember less through knowing information itself than by knowing where the information can be found,” says Columbia University psychologist Betsy Sparrow. I’m logging off right now. 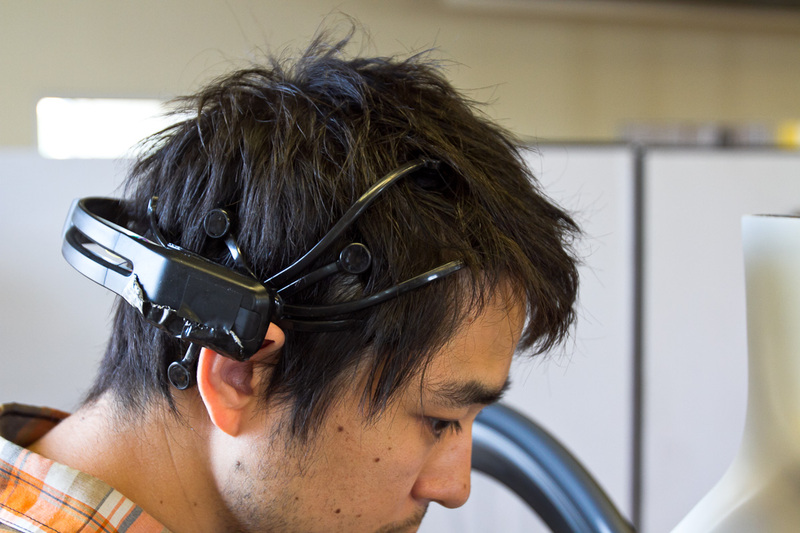 The first ever mind-controlled bike has arrived! 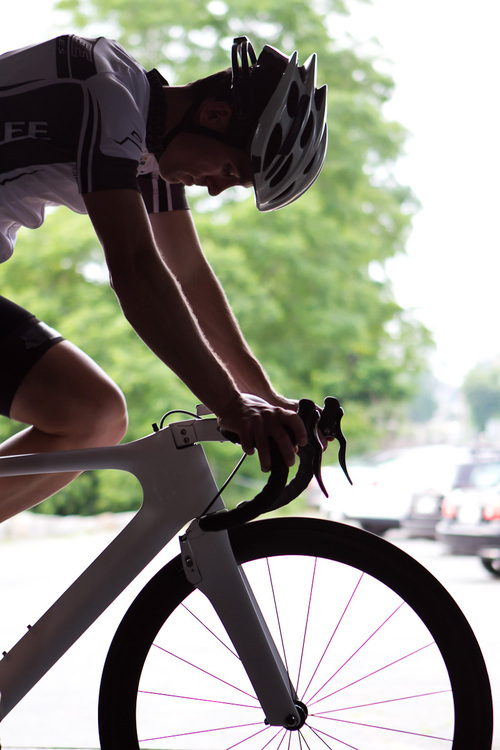 The ‘PXP’, from Toyota, Saatchi & Saatchi LA, Deeplocal, and Parlee Cycles reads your thoughts via a specially built helmet to change gears as you ride. The bike helmet, designed by Deeplocal, incorporates a built-in EEG array that lets you shift gears just by thinking about it! The helmet learns to read your thoughts after a ten-minute “training” session to distinguish your “shift up” thoughts from your “shift down” thoughts. “When you see the bike shift for the first time, it’s kind of like magic,” Matthew Pegula, Deeplocal Lead Engineer, tells Co.Design. Cadel Evans, you have to get this new toy. Read more at Fast Code Design and John Watson’s blog. 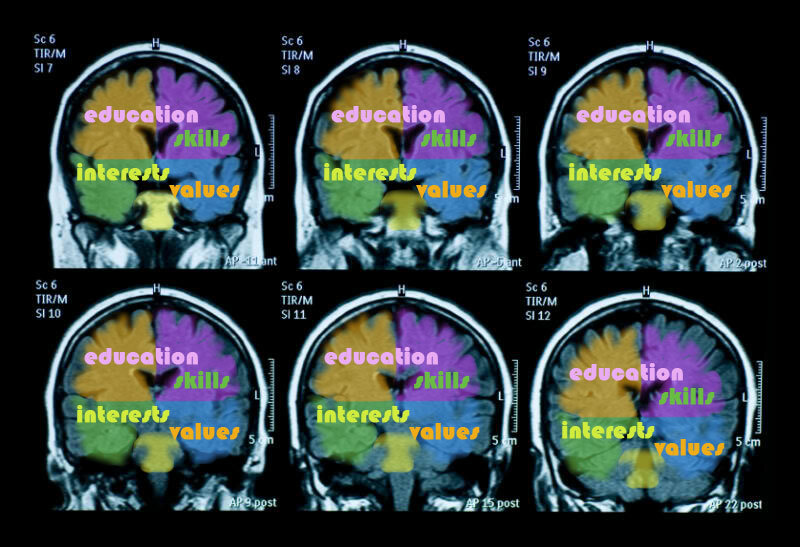 What does your workplace brain look like? If you think about your workplace and the types of people in it, what would you say about it? Are the people very results-driven or people-focused? Is it competitive and stressed, or relaxed and collaborative? What are the people like themselves? Do you find you have a lot in common? In the top tiers of Fortune 500 companies, the hiring process tends to focus strongly on finding the ‘right types’ of employee using psychometric tests. These are designed to assess an individual’s cognitive abilities relative to others in a population. Major corporations are fairly renowned for their hiring processes using various forms of psychometric testing during rounds of interviews which include character assessments, cognitive ability tests and general knowledge questions designed to whittle you down/test your mettle. There are obvious benefits to a cohesive workplace and having a lot in common; some major corporations favour social equality and champion environmental issues. But then there are other kinds of powerful companies (talking here about a specific, household name, global investment bank) who looks for, and only looks for, the type ‘A’ employee: the ones who when asked ‘would you do whatever it takes to win at the cost of others?’ answers, unhesitatingly, ‘yes’. Unsurprisingly, the culture created is aggressive, ego-driven and, dare it be said, male-dominated. There is also some concern that psychometric tests can be prone to cultural and racial biases. Indeed it is a practice of exclusion. The tests tend to favour the white, middle class; not only do white people tend to outperform most other ethnic groups, but also IQ is associated with social class (Williams & Ceci in ‘Psychology’, Burton, Westen and Kowlaski, 2009). So are the modern hiring machine at these top corporations creating types of monocultures? And how do we feel if these companies seek to create workforces who think alike, breathe alike, act like. In line with company policy. Together. A super race? Or super, super boring?